Cornerstone Home Inspection Group, LLC | "A Solid Foundation for Making a Solid Decision"
Cornerstone Home Inspection Group, LLC is a licensed inspection company serving Sarasota, Manatee, and surrounding counties. 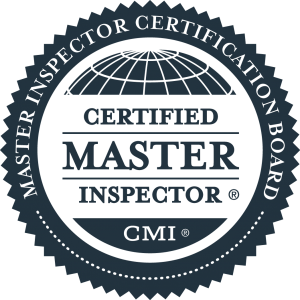 We value integrity and quality of work and promise to provide a solid and thorough inspection and report you can rely on to make the right decisions about a home or commercial property. Our services include comprehensive home inspections, commercial property inspections, insurance inspections such as wind mitigation inspections, four-point inspections and roof certifications, new construction and 11th month builder warranty inspections, infrared inspections, and pool/spa inspections. We also offer mold and indoor air quality testing and well water testing. Reports are delivered electronically within 24 hours of the inspection in most cases. Whether you are purchasing, selling, building a new home or commercial property, or currently own, Cornerstone Home Inspection Group, LLC is here for you to ensure a solid foundation for making a solid decision through quality inspections, quality reports and quality customer service. “Michael Thomas with Cornerstone Home Inspection in Myakka, FL. is very knowledgeable, very courteous and very prompt. I tell everyone I know about the quality job he does and the awesome reports he sends. I would recommend Michael if you are in search of a quality home inspector.